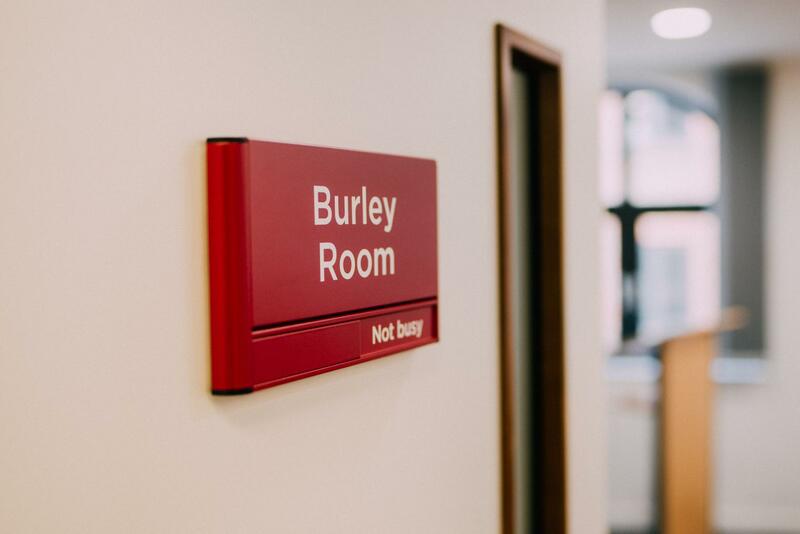 The Burley room is a very flexible space and can be configured as meeting room or classroom, or as a breakout area for events in the Domenet Room. Discounts apply for Charities, Not For Profit, and NHS organisations. We reserve the right to cancel your booking at any time if the purpose of your event is or appears to conflict with purposes or policies of the FPM. We also reserve the right to cancel your booking if the FPM premises become unavailable due to circumstances beyond our control. If we cancel your booking for any reason we will refund any payment you have made in advance but we will otherwise have no further liability to you. your event or your organisation. No selling is permitted on our premises. Advertising is only permitted with our express permission and within the privacy of a closed meeting. 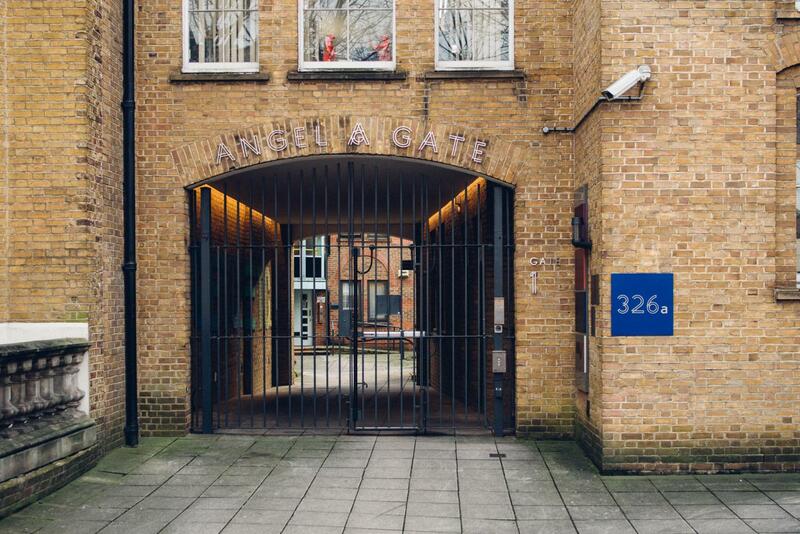 Please note that, under normal circumstances, clients are not allowed to consume their own food and beverages within the FPM premises unless you have arranged for external catering and this has been agreed at the time of booking. Half-day and full-day bookings include complimentary tea, coffee, water, fruit juice and biscuits. The client must indemnify the Faculty of Pharmaceutical Medicine against any damage caused to the Faculty’s premises (including contents, furnishings, fittings and any other equipment on hire) by the client and/or their guests, employees or agents. Hirers must ensure that Public Liability insurance is arranged to cover any claim that might be made against them in respect of any activities that they are responsible for. 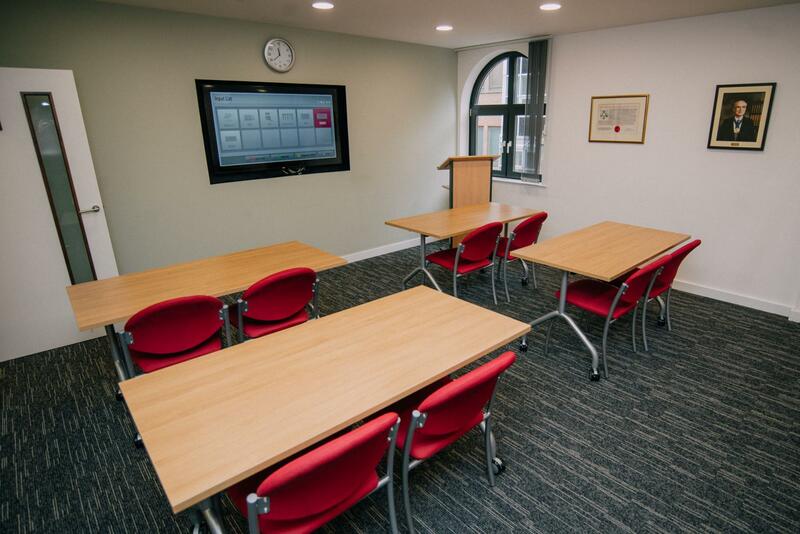 Modern, flexible meeting and training rooms for hire close to Angel in Islington. 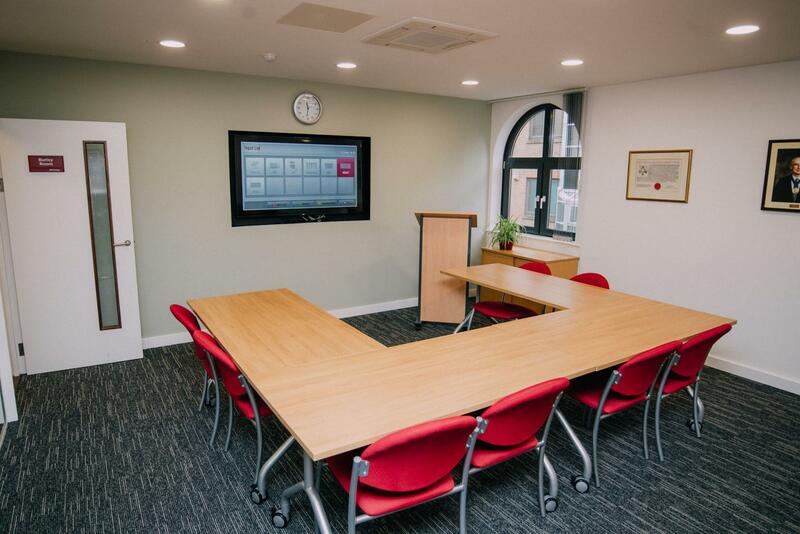 We have two main rooms which can be set up for meetings, training courses or presentations and both are equipped with a 60” high definition monitor with built in sound system. The wall between these rooms can be stowed to give an even larger space. 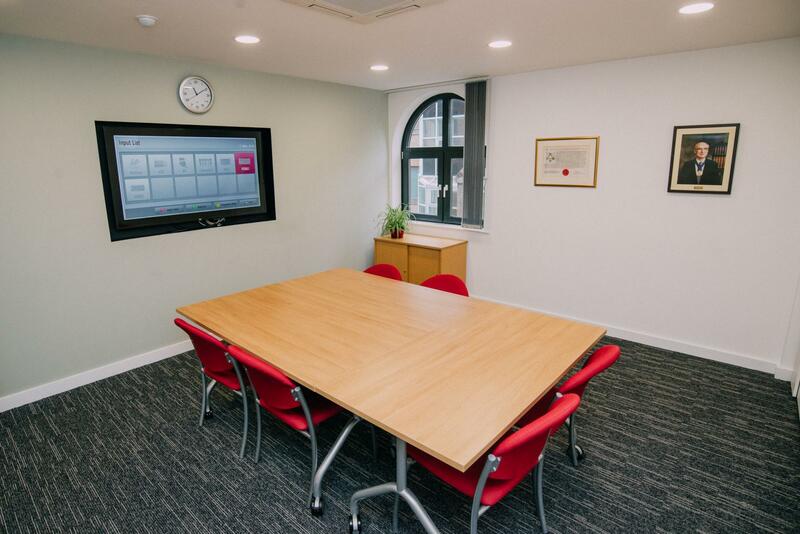 Our smaller room is ideal for private meetings.